$12.38 New In stock! Order now! 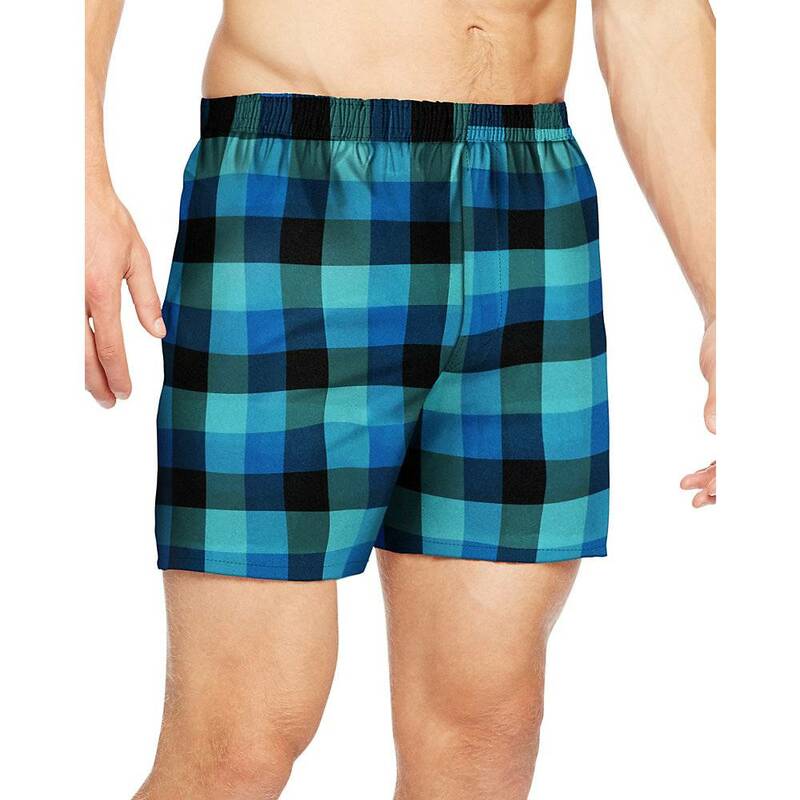 Short Description: Hanes Men's TAGLESS® Ultimate Fashion Boxer with Comfort Flex® Waistband Pattern Blues 3-Pack Style# UTHXX3 contain 3 per pack and fabric content; 55%/45% Cotton/Polyester. Information: Finally boxers that kick up the fashion and the comfort.Part of the Premium Collection, these woven boxers feature a stretch fabric that moves with you for all day comfort.Comfort Flex® waistband keeps its shape wash after wash.Supersoft ring spun cotton wicks away moisture to keep you cool and dry.No gap fly.Modern fit with center back seam.Tag-free for extra comfort.Available in a convenient 3-pack.